First Church has a tradition of offering strong Christian education programming for adults through a variety of learning options. Several adult Sunday School classes meet every week from 9:30-10:30 a.m. There are also a variety of small groups which meet during the week. Some are ongoing, and others are seasonal, such as Advent and Lenten study groups, and studies to support a particular sermon series. 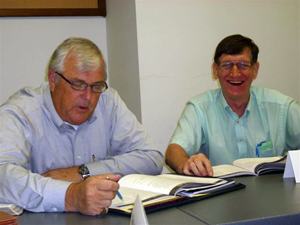 A men’s group, Building Brothers, meets for study weekly, and United Methodist Women offers studies through their monthly meetings. An adult library is available with materials for personal study, and Upper Room devotionals may be purchased at the Information desk.